- ...and then there's the one in the attached image - a game changer I reckon. 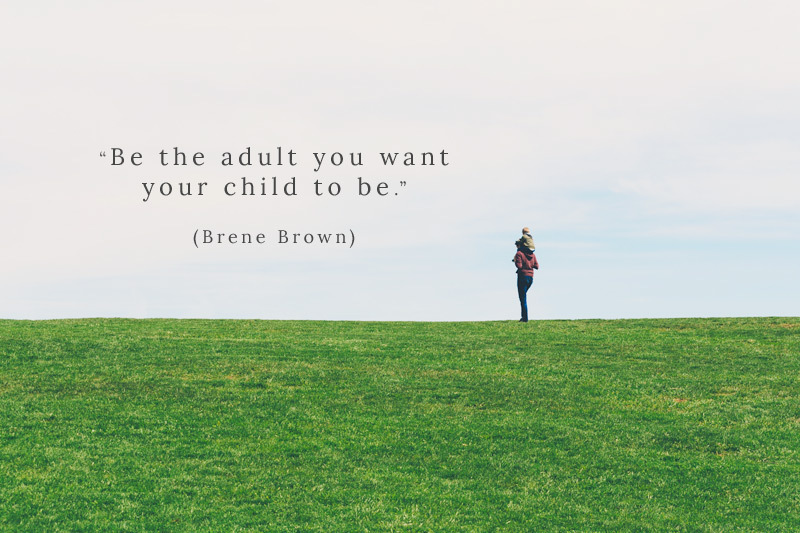 It really got me thinking about the sort of adult I am and have been for my children like listening to the way I speak - to myself, my children, my partner, others. Being conscious of when I've been gossiping or being critical. Expressing my vulnerability – rarely. How often do I model kindness, forgiveness, patience, compassion and gratitude. Dropping the illusion of perfection. Being authentic especially when I drop my bundle and are the complete opposite of all the above, and I do, often. Yep it takes courage - a huge amount of courage but being the adult I want my children to be may be the greatest gift I could ever give them and even though they are now in their twenties, I don't believe it is ever too late. ...because great health is so much more than what you eat and how you move.